It is late in the day on Thanksgiving here in the USA. 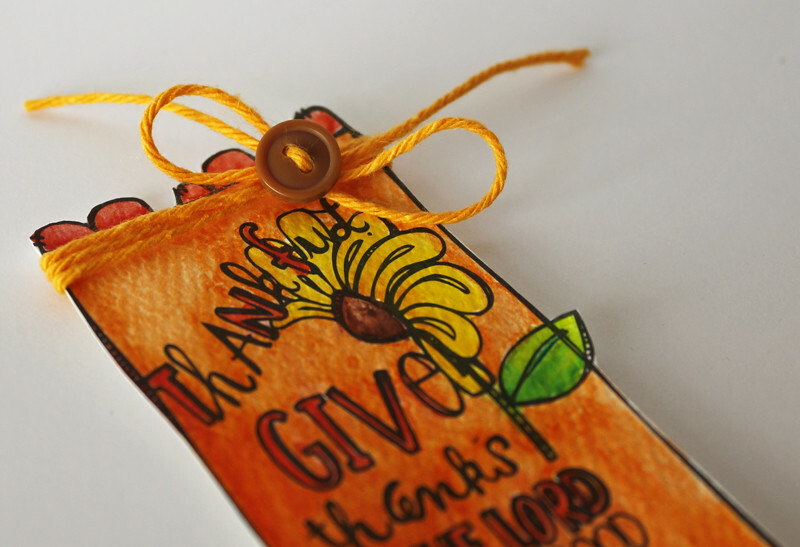 I have a fun bookmark that uses the yummy bakers twine from The Twinery mixed with super fun Art Play Paintables from AdornIt! 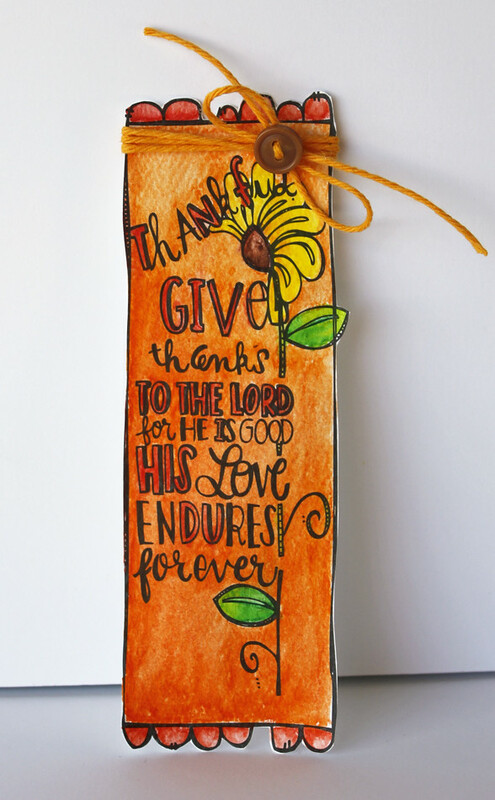 I used some of the AdornIt watercoloring pencils on this and created a bookmark to remind me to be thankful every time I pick up my book to read. 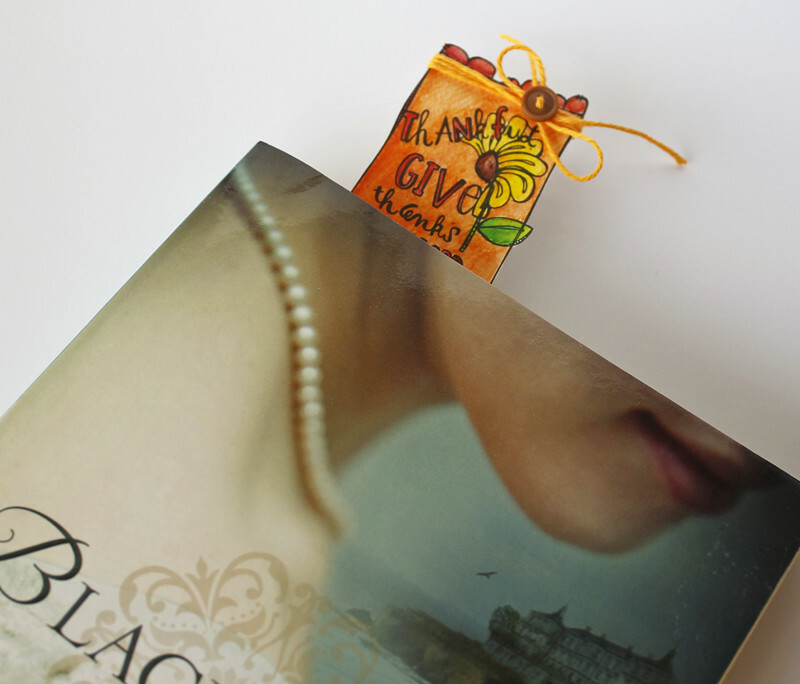 And her it is peeking out of the top of one of my favorite books.....do you know which book it is? Have you read it? Hey friends!! I have a new blog post up over on The Twinery blog using the Solid Natural bakers twine.....one of my favorites!! Hop on over to check out the details and I would really appreciate some comment love. Thanks so much for stopping by!! Thank You Card and Announcement! Hey everyone!! I told you a little while ago that I had some fun news to share with you, and even though it is a bit late, here it is: I have been chosen as an ambassador for ADORNit! WooHoo!! I love their crafty products and clothes. I was sent a fabulous box filled with fun things like paper, wood pieces, Art Play Paintables, and washi.....so many yummy items that I can't wait to share some of them with you. First up is this fun water-colored card that I made from some Art Play that I have had on hand. I just love the quality and texture of these Art Play paintables. They are perfect for adding color from so many different coloring mediums. So, what do you think? 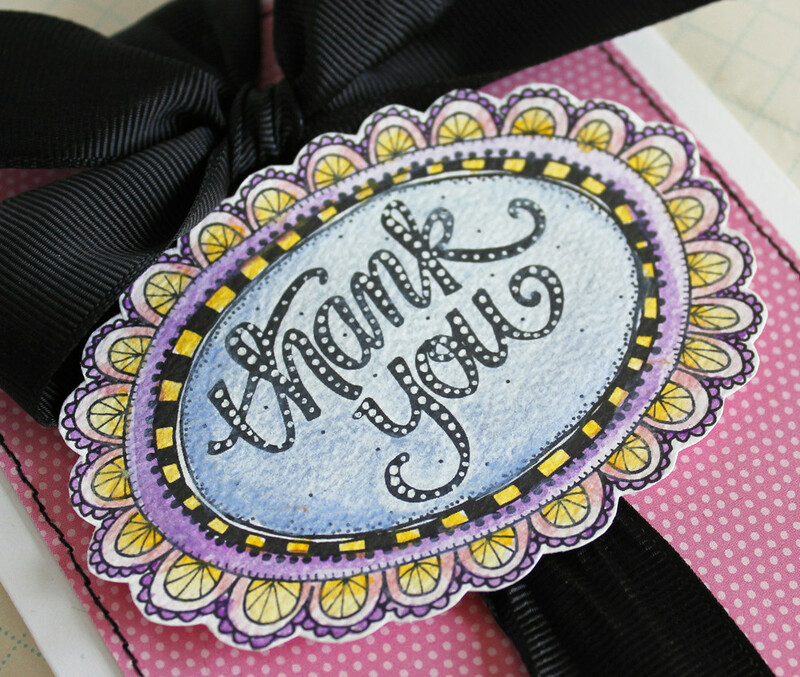 Isn't this a cute little card and I had so much fun coloring that image. I hope to have more to share with you this next week, so stay tuned! Hello everyone!! 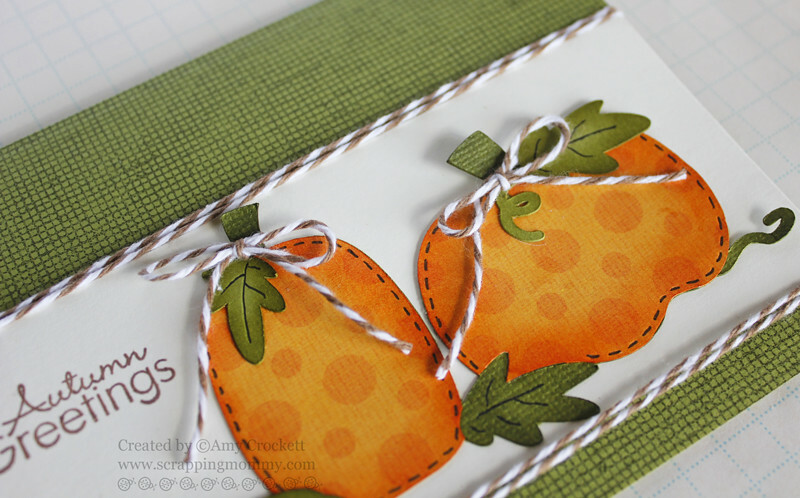 I am here to share a fabulous autumn themed card with you using yummy bakers twine from The Twinery. 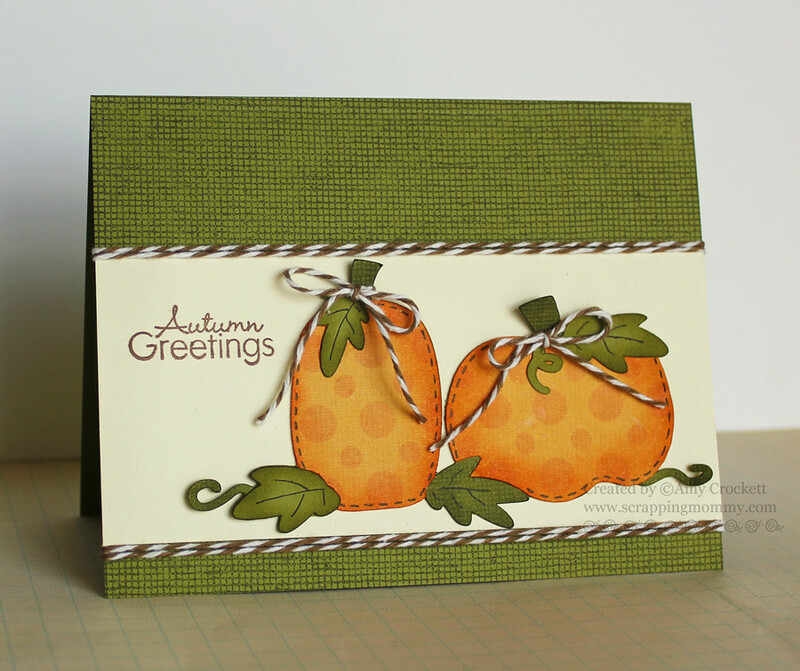 There is a fall/themed week over on The Twinery blog and if you are looking for inspiration in that department, head on over and check out what the other designers have been working on. For added depth and texture, I used some ink for shading the edges and also some pen accents. What is your favorite thing about fall/autumn? I have lots of things I love about it....it is my favorite season (well, that and spring). I can't decide if I love the cooler sweater weather better or the changing leaves. How about you?